← Whose Footsteps Are You Walking In? 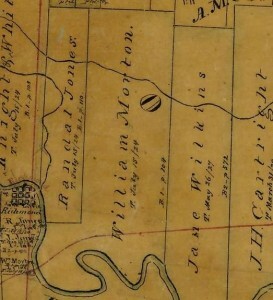 On the eastern side of the big bend in the Brazos River that cradles the town of Richmond there were more farms and plantations in the early settlement of Fort Bend County. There are still signs today of these early settlers. That area of land began in the settlement era as grants recorded in July of 1824 to William Morton and Randall Jones, two of the Old 300 settlers brought in by Stephen F. Austin. According to Andrew Jackson Sowell in his History of Fort Bend County, William Morton was the first actual settler. His league was located on the east side of the river, and his labor was on the west side near the fort, both granted to him by the Mexican Government in 1824. Land was an asset then, just as it is now, and some property changed hands several times before it became a productive farm or plantation. From the Brazos River to Oyster Creek the land was fertile and crops were raised as settlement continued. In 1829 Johnson Calhoun Hunter bought part of the Randal Jones grant, and developed the Hunter plantation on Oyster Creek. For fifty years the Hunter home was a landmark in the Richmond area. Today their legacy still occupies a small parcel of land just off Morton road where the Hunter Family Cemetery, also known as the Brick Church Graveyard, was established. This location was about 400 yards north of the location of their home. In 2004 the cemetery was designated an Historic Texas Cemetery by the State of Texas. From 1829 to 1835 Robert Hancock Hunter helped his father, Johnson Hunter, expand and operate the Hunter Plantation. By the time of the Texas revolution, the Hunter Plantation boasted of 800 head of cattle, a multitude of hogs, a fine house, corn crib and the usual barns. The family retreated from the plantation at the time of the Runaway Scrape, and the Mexican army camped there for three days while in pursuit of General Sam Houston; both Mexican and Texan troops subsisted on cattle belonging to Hunter. Travel to and through the area was a challenge over wagon roads, and the life lines of Oyster Creek and the Brazos River improved mobility to some extent. But it was the railroad that really opened up the area for development. 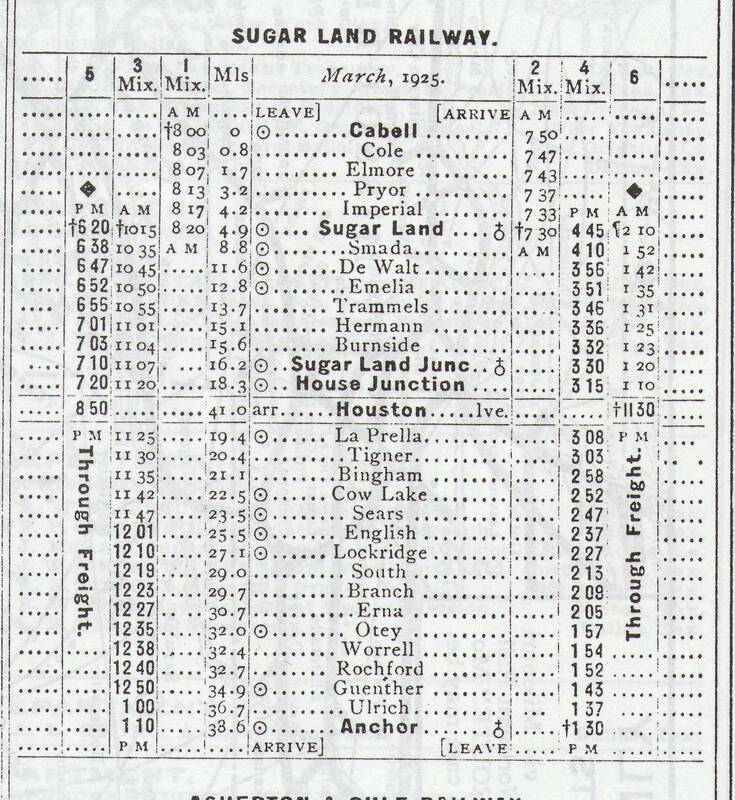 The Galveston, Harrisburg, and San Antonio Railroad followed the trail along where Hwy 90 runs today, and resulted in quite a few named stops along the route through Fort Bend County. There were communities or stops such as Cabell, four miles northeast of Richmond in Fort Bend County, a part of the original Oyster Creek settlement. An early landowner in the area was Dr. Matthew A. Moore, who in 1852 established a plantation there. 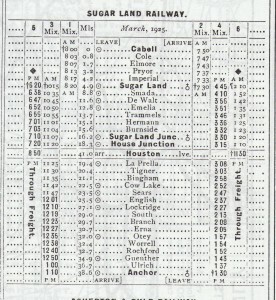 An extension of the railroad line from Sugar Land made Cabell a shipping point for rice, cotton, and other products grown on surrounding farms. By 1936 the entire area had been absorbed by a state prison farm. Flora was a farming community and rail stop on U.S. 90A about a mile northeast of Richmond. The community seems to have been established after 1894 and according to some sources was named for Flora Emmich, the wife of railroad employee Leon Emmich. 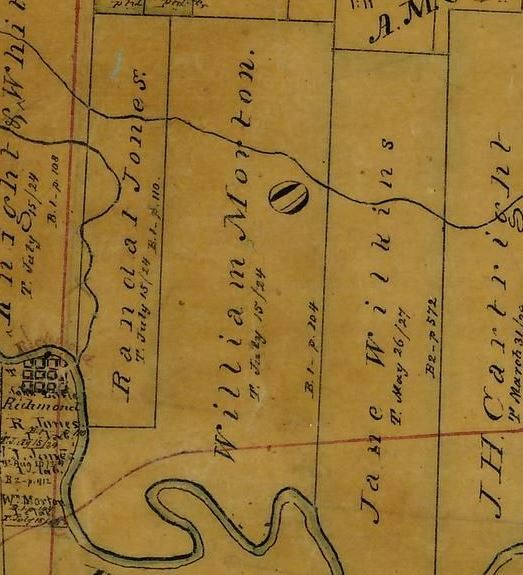 In 1886, the state purchased the Harlem sugar plantation, mostly in the William Morton land grant, and several adjacent tracts of land along the Brazos River near Richmond. The Harlem property was, at the time, owned by folks in New York which could be why the property was known as the Harlem farm. There was a stop on the railroad named Harlem and Harlem Road is still a main avenue through this area. In 1908, the state bought the Riddick Farm, a plantation adjoining the Harlem farm, and purchased Littlebury A. Ellis’s old lease property, the Imperial farm, from his heir’s Imperial Sugar Company. 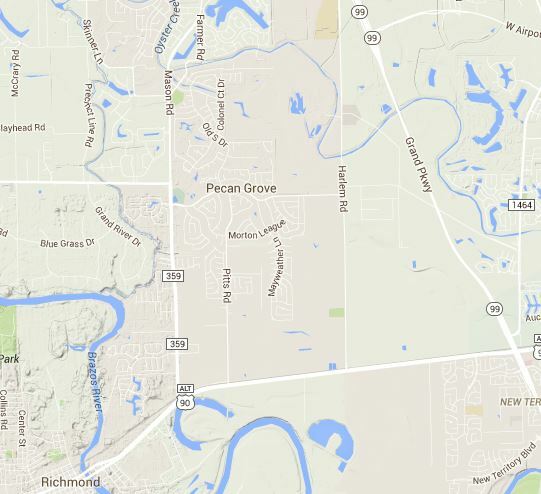 Today, the Pecan Grove subdivision is nestled in this area and you might wonder where this name came from given that sugar tends to dominate the written history of agriculture in this area. In the History of Fort Bend written by Andrew Jackson Sowel there is a description of the location of the Hunter family home on the east side of Oyster Creek where a large pecan tree, planted by Thomas J. Hunter, bears the finest pecans of any tree in the area and stood at the foot of the elevation on which the family home was built. In 1902 Robert Lee Hunter, grandson of Johnson Calhoun & Martha Hunter, was the last member of the Johnson Hunter family to live at the Hunter Plantation on Oyster Creek. At Age 33 he moved to Pearland, Texas and the Johnson C. Hunter and Robert H. Hunter property in Fort Bend County was sold to others. 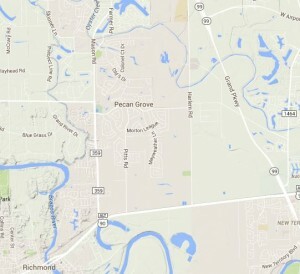 In this northeastern section of Fort Bend County on Farm Road 359, about four miles northeast of Richmond, Bruce Belin and Associates purchased approximately 1,450 acres in 1973 and by 1978 began construction of the Pecan Grove development. Named for the stately pecan trees growing in the area, the community was originally referred to as Pecan Grove Plantation and later simply Pecan Grove. Perhaps we owe thanks to the Hunter Family legacy for the Pecan Trees. James Bruce Belin was behind this development and today we have Belin Park located on Farmer Road on the edge of Pecan Grove for the enjoyment of residents in the area. Those connected to Frost Elementary School in the Lamar Consolidated School District should also recognize the significance of their school’s namesake, Samuel Miles Frost. On March 2, 1843, Samuel Miles Frost married Harriet H. Hunter, the daughter of Johnson Calhoun Hunter. An early school, the Frost Institute, was incorporated in Fort Bend County by a legislative act on August 28, 1856, and organized by Samuel Miles Frost on 5 acres donated by Johnson Hunter. I have to wonder if they had sugar glazed pecans back in that time…. This entry was posted in Fort Bend County History and tagged Brazos River, Frost Elementary School, Galveston Harrisburg and San Antonio Railroad, Harlem Plantation, Harriet Hunter, Hunter Plantation, Hwy 90, Johnson Calhoun Hunter, Lamar Consolidated Independent School District, Littleberry Ellis, Oyster Creek, Pecan Grove, Randall Jones, Riddick Farm, Samuel Miles Frost, William Morton. Bookmark the permalink.